Nobody takes a teddy seriously — and that might just save Teddy’s life. 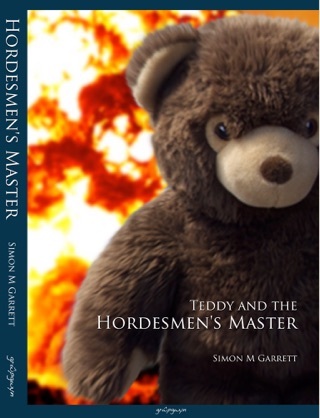 Not that he’ll notice; Teddy is too focused on reaching the lady of his dreams, avoiding a vomiting baby and finding a way to get from Aberystwyth to Clehonger, despite being unable to read a map. Behind the scenes, things are moving. Dark things. Dark things that would happily kill an idealistic Teddy who’s bumbling through the big, wide world. But the biggest threat is to Teddy’s dreams. Will a world of cynical animals and indifferent humans drain him of his hopes and wide-eyed trust, or will he find a way to escape danger while holding on to his naive belief that he can do something amazing? 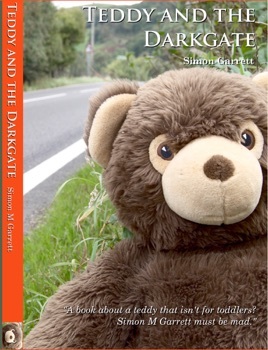 And what does it all have to do with The Darkgate?